Cheers to sushi with Nikki Rouge. 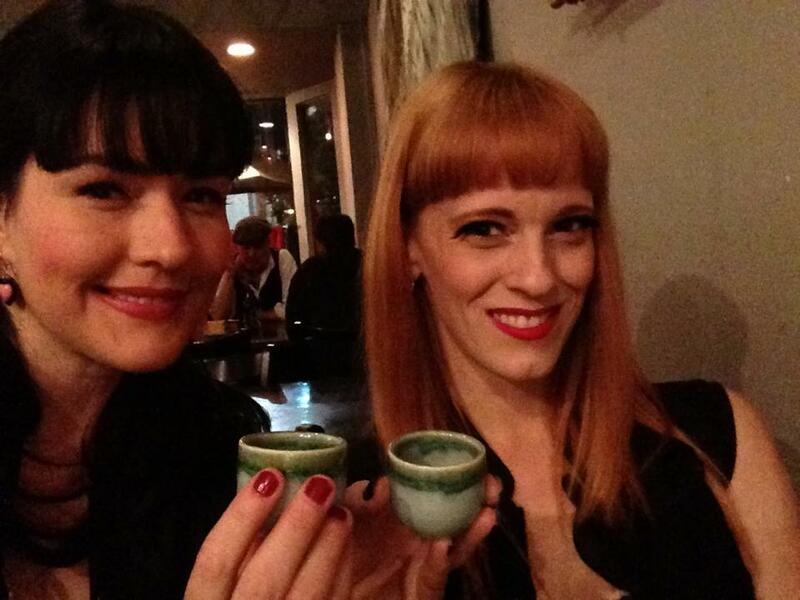 Nikki Rouge and I at Itacho Japanese restaurant in Los Angeles after a busy time at Footnight. 490 Responses to Cheers to sushi with Nikki Rouge. NLOGQD Say, you got a nice article post.Really thank you! Fantastic. I seldom comment, however i did a few searching and wound up here . And I actually do have some questions for you if it’s allright. Could it be simply me or does it look like some of these comments appear like written by brain dead folks? 😛 And, if you are posting at other online social sites, I’d like to keep up with anything new you have to post. Would you make a list of all of all your public sites like your linkedin profile, Facebook page or twitter feed? I seldom drop responses, however I glanced through a few remarks on this page. I do have some questions for you if it’s allright. Is it only me or does it look as if like some of the comments appear as if they are coming from brain dead people? 😛 And, if you are posting at additional online social sites, I’d like to follow you. Could you list of all of all your social networking pages like your twitter feed, Facebook page or linkedin profile? Your blog is one of a kind, i love the way you organize the topics. : a-???????????? Than?s for your ma?? ????v?? ????l?? ??? ?us posting! Fgaxcl It’? ?s truly a great and useful piece of info. I am happy that you just shared this helpful information with us. Please stay us informed like this. Thank you for sharing. KB3XY9 Totally agree with you, about a week ago wrote about the same in my blog..!